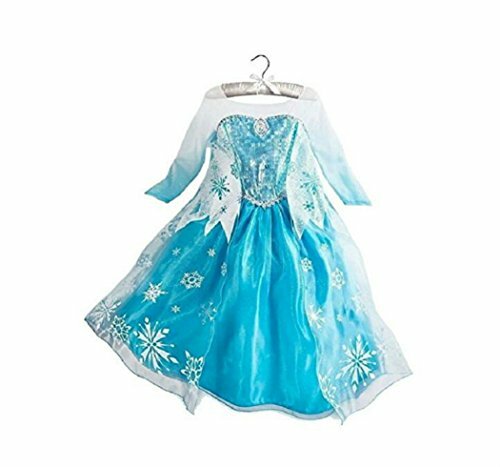 In order to stand out from other Anna costumes, we offer you this party dress. and the sequin and faux diamond decoration creates elegance and dignity. It has a little elasticity for a perfect fit. Cotton blend, satin and mesh. Hand wash only. Imported. Notice: Because of different measuring methods, there do exist 1-2cm differences, please choose size carefully. Thank you for your understanding. Brand:DaHeng.This item just sold by DaHeng.And any other sellers in this listing are selling counterfeit products Polyester,Imported Quality materials used to make Disguise products Fun, Colorful, Inventive designs to put you in the world of role play Whether it's Halloween, birthday parties, or even a fun filled night, disguise is good for everything!